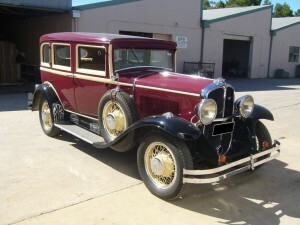 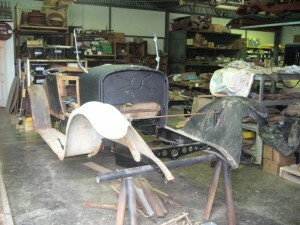 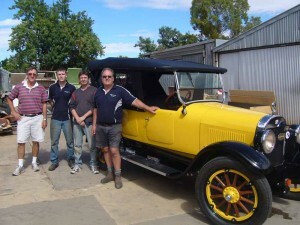 The 1924 Dodge Roadster as delivered to Goode Restorations. 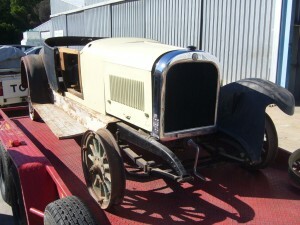 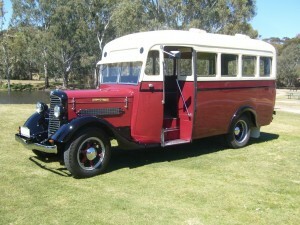 The suspension and running gear removed, the front guards and running boards were bolted in place to aid in the placement of the rear gurads and tub. 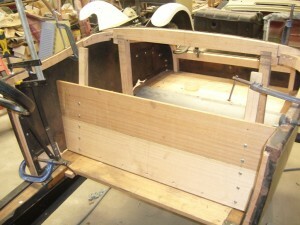 The seat and tub wood being fitted. 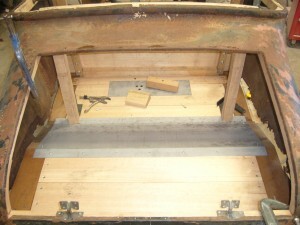 The boot floor and woodern frame coming together. 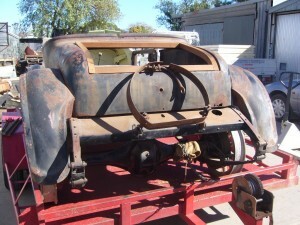 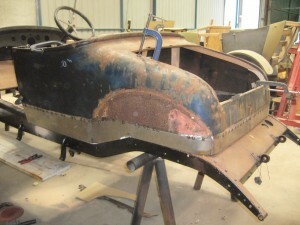 The rust on the rear tub was quite extencive, parts had completely rusted away. 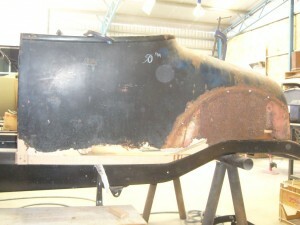 Before sand blasting the tub a new bottom was welded into place to stop it warping out of shape.